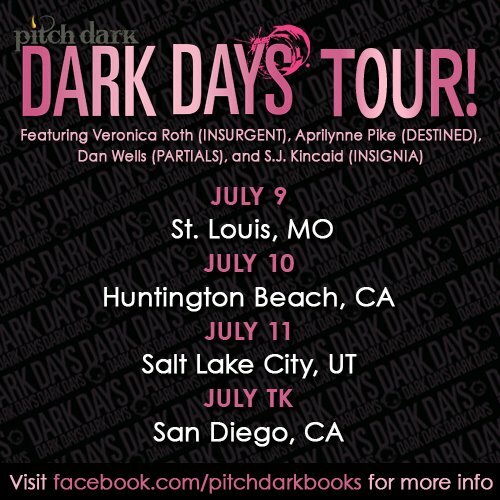 Veronica Roth is coming to Utah! Along with 3 other awesome authors! Are YOU going to go? What about you MO and CA residents? Excited?! I have been waiting for this. Waiting and waiting. I will find a way to be there if it kills me!!! YAY! Then I can finally MEET you! That will be AWESOME!!! I'm going to see if Ashley will be able to come as well. Ooh, St. Louis is within day-trip distance from us in IL. Hmmmm...Oh wait! We'll actually be in Utah then! Prrobably family reunion-ing. Chances are slim then. Veronica Roth has already been to my area and signed my copy of Insurgent. So exciting! I brought three teens with me. The store was packed! They are coming on my birthday!!! WOO!! Happy Birthday to ME! !